San Juan Fire Ban. 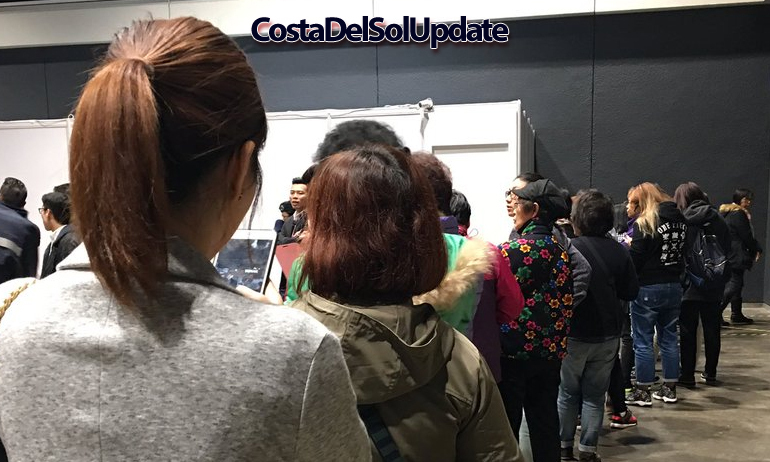 Costa Del Sol festival attendees are being warned that failure to respect new fire regulations will lead to fines and even imprisonment. 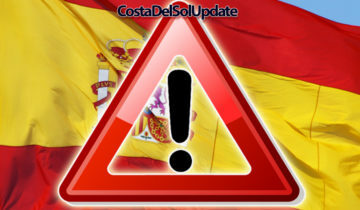 Costa Del Sol festival goers who will be celebrating San Juan on the 23rd of June have been warned that they face fines and imprisonment if new regulations concerning beach fires are not respected. 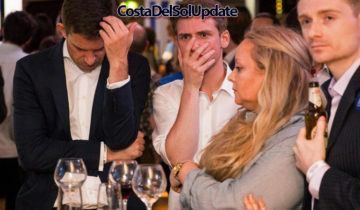 The regulations were approved in a surprise move by the Mijas County Council yesterday. An artists impression of a San Juan party this year. Due to the sheer number of fires which are usually lit during the San Juan festival, it will not be possible for the council to provide an accredited technician for each fire. 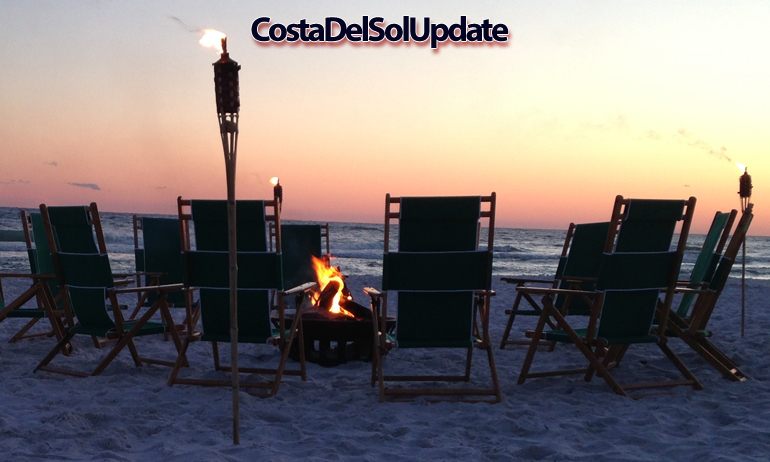 However, it is possible for members of the public to obtain a certificate and supervise a beach bonfire. To gain this accreditation, members of the public can present their NIE number at a local town hall and register for the free 12 hour course (subject to a €300 administration charge). Alberto Extinctor from the Mijas Fire Regulatory Council says that the new rules are in place to safeguard beach users during the famous San Juan festival. “These rules are about safety, we’re not trying to spoil anyone’s fun here or make money. Everyone knows that sand is one of the most combustible materials around, it’s important that anyone lighting a fire on the beach understands how to properly regulate it”. Miss. Moore is in favour of the new rules, after her genuine Armarni bikini was damaged by fire at last year’s San Juan. 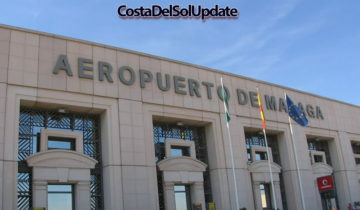 Some British expats on the Costa Del Sol are in agreement with these new rules. Alecia Moore is originally from Birmingham, but now lives in Marbella. She told Costa Del Sol Update “I’m not from Birmingham actually, I’m from Lichfield. People don’t realise the risks. Last year, I was at a San Juan bonfire with my friends and there were no fire safety people nearby. I jumped over the fire and my bikini bottoms became singed. I was devastated, I’d only bought them that morning from the man on the beach who assured me that they were genuine Armani. They cost me 12 euros”. People are already queuing for the free course to gain the required qualification to enjoy a bonfire at San Juan. Miss. Fernandez says it will be impossible for people to get the required certificate in time. “Several of my group members have already been to the town hall to get this certificate. Not only is it a 12 hour course to qualify, but there is a four week waiting list. We are outraged. This makes it impossible for us to enjoy San Juan legally”. 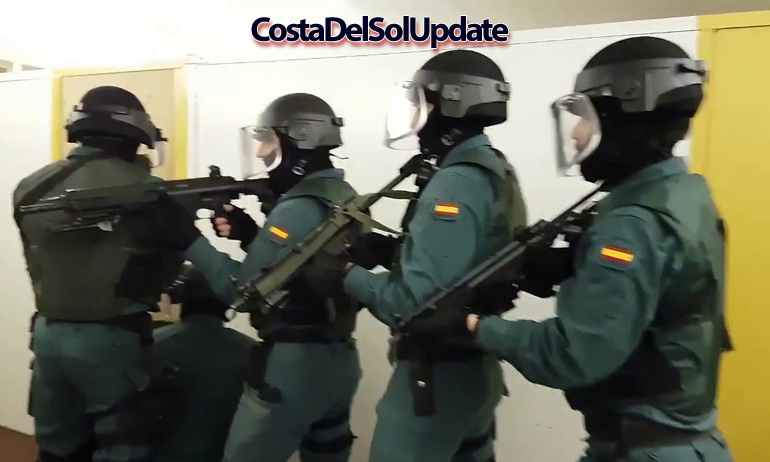 The Guardia Civil pictured preparing to patrol the beaches during the San Juan festival. 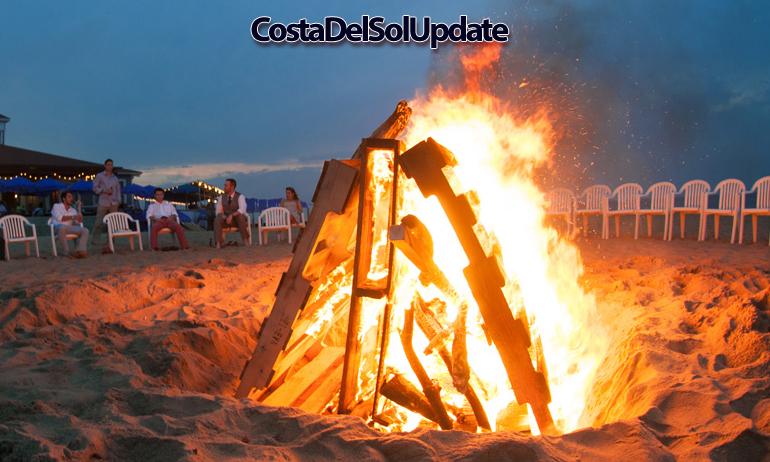 Will you be celebrating San Juan with a beach bonfire? Have your say in the comments section below!